Utah junior running back Zack Moss will require season-ending knee surgery following a practice injury he sustained earlier this week. The Salt Lake Tribune reported that Moss suffered a torn meniscus during Wednesday's practice. The university hadn't confirmed the injury as of Friday. However, Moss tweeted about his injury on Thursday night. "So many emotions. So many tears. I'm coming back stronger. God's plan," Moss wrote on Twitter. Moss rushed for 1,092 yards and 11 touchdowns in nine games this season to become the fourth player in school history to record two 1,000-yard seasons. Moss rushed for 1,173 yards and 10 touchdowns last year as a sophomore. Moss ranks fourth in school history with 2,647 rushing yards. 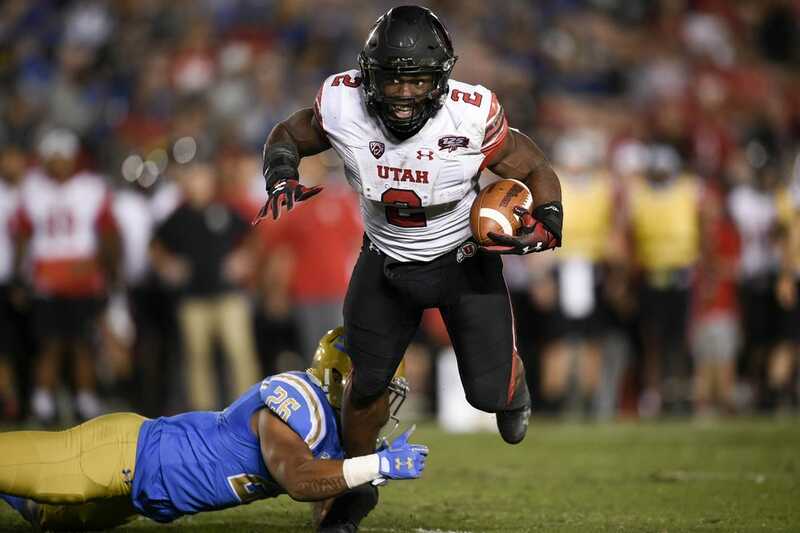 Junior Armand Shyne is expected to be Utah's primary running back on Saturday against Oregon. Shyne has 166 yards and two touchdowns on 37 carries. The injury is the second big blow for the Utes (6-3, 4-3 Pac-12), who are in first place in the Pac-12 South. Junior quarterback Tyler Huntley is out for the season after breaking his collarbone in a loss to Arizona State last Saturday.